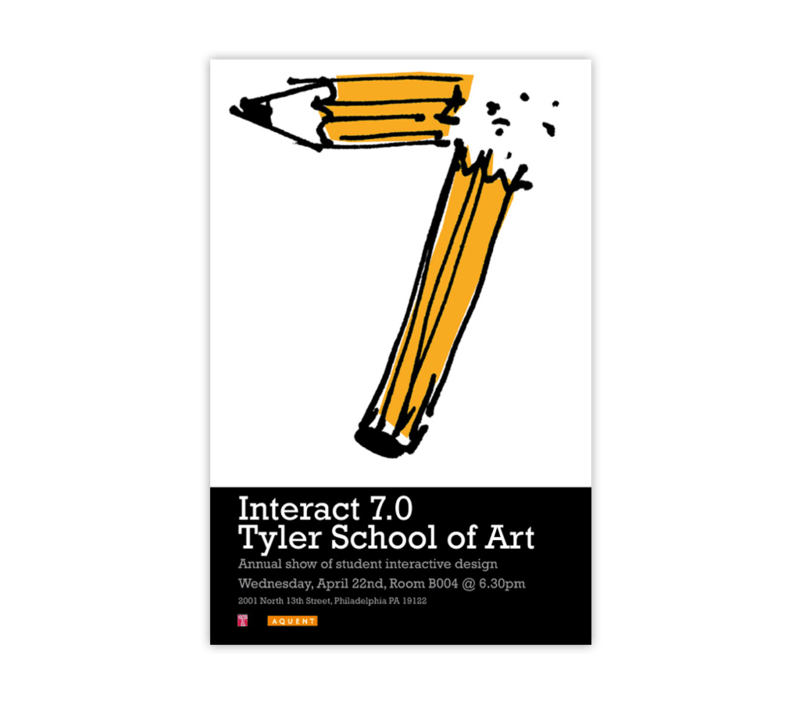 Each year, Tyler School of Art | Temple University in Philadelphia hosts the Interact event. 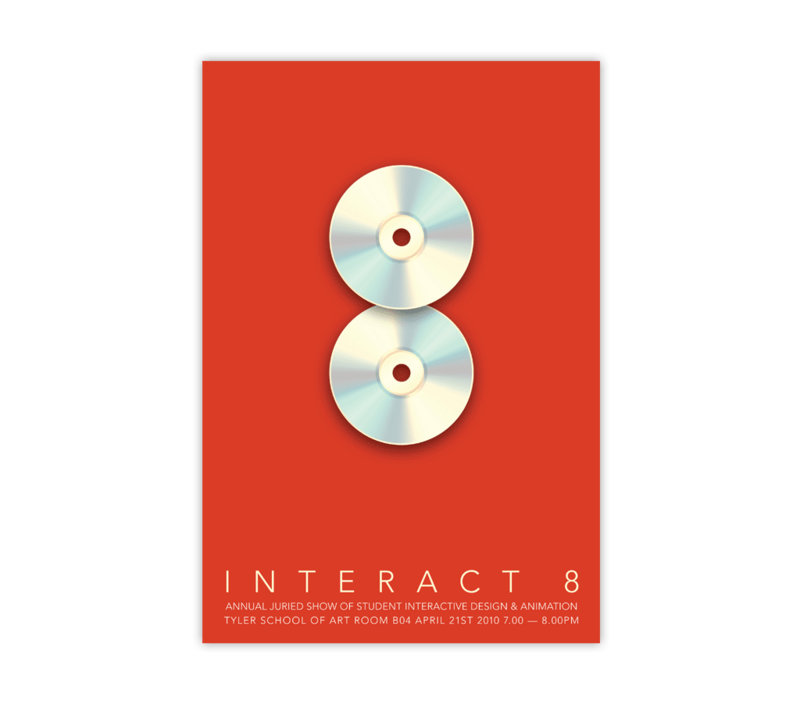 This is an annual juried show, reviewed by leading interactive designers from within the industry. 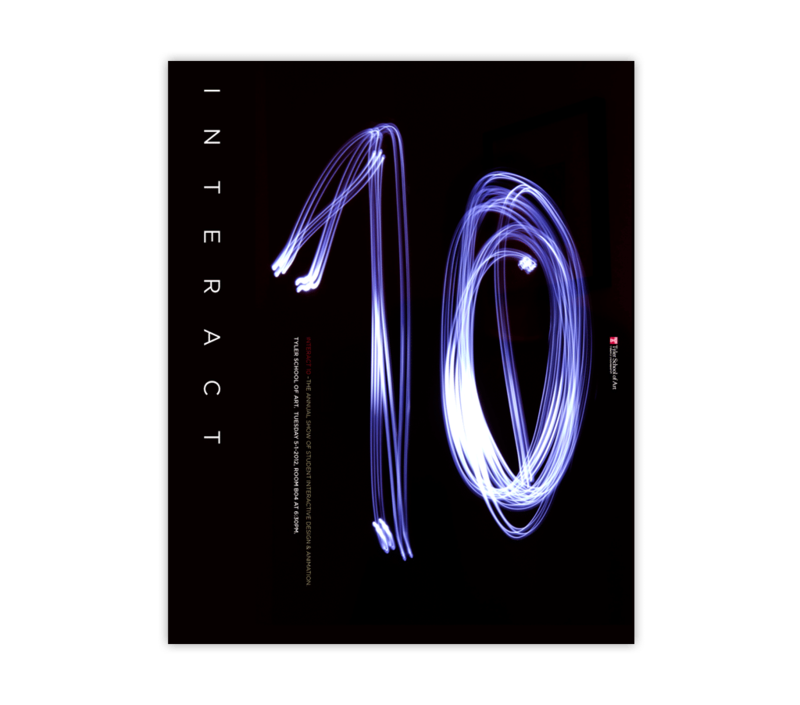 Recognition: The Interact 5, 8 & 10 posters are Graphis gold award winners. 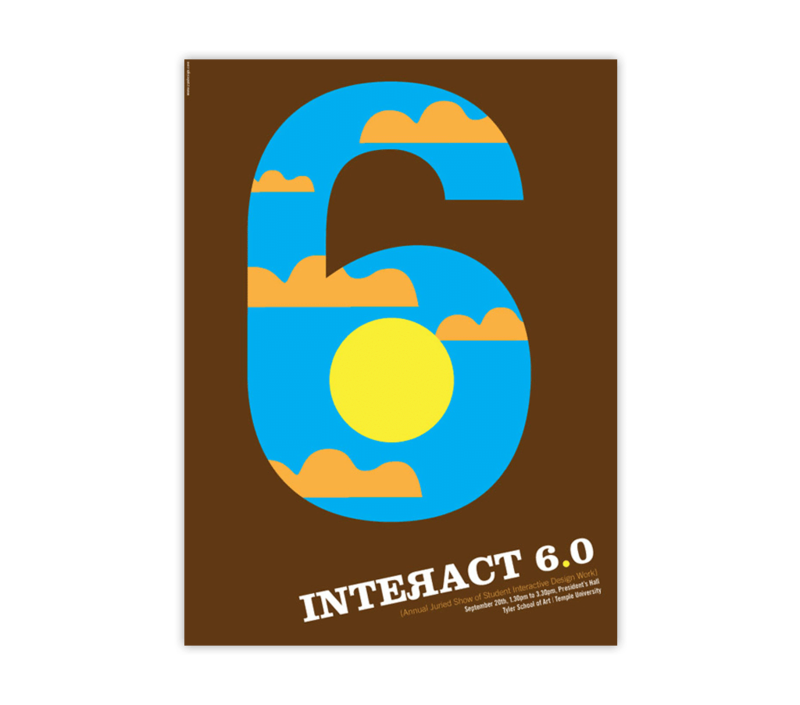 The Interact 5 poster was selected to be part of the prestigious Golden Bee 7 Show in Moscow. 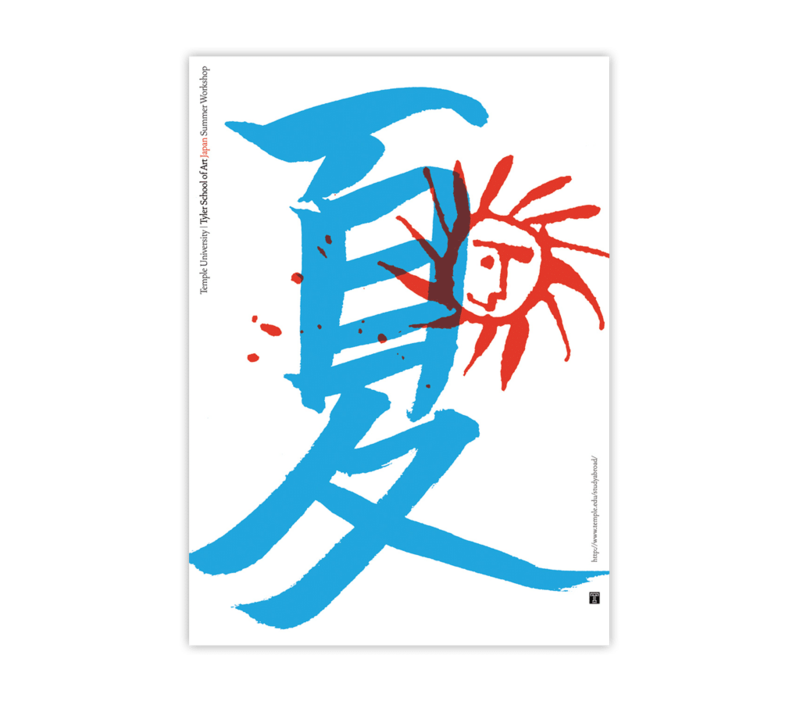 This two-color, silk-screened poster was designed to promote a play of the same name. It was performed as part of the Philadelphia Fringe Festival. 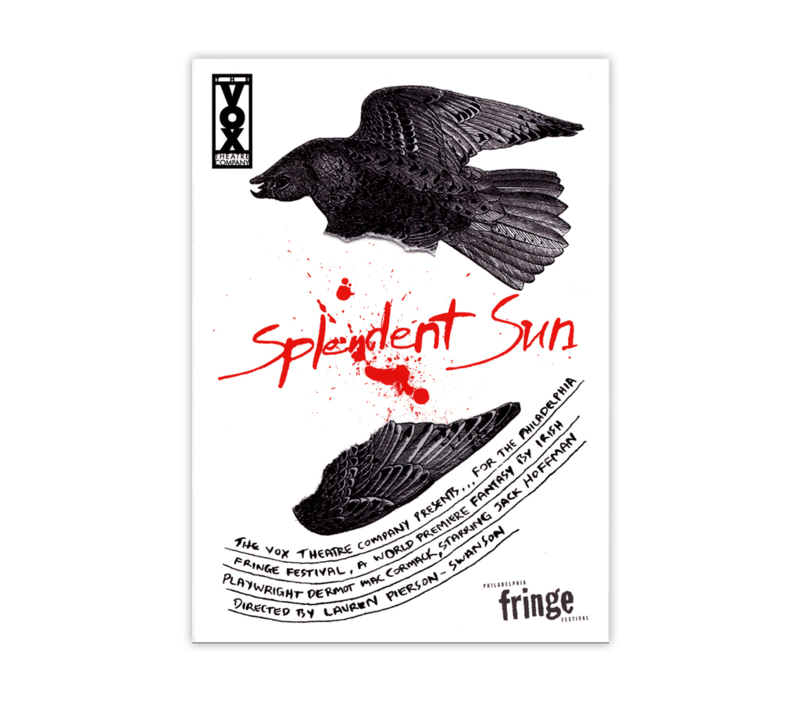 The play, written by our own Dermot Mac Cormack and produced by the Vox Theatre Company had a sold-out run through the festival. Recognition: Awarded a gold and featured in Graphis Posters. It was also selected for Communication Arts and awarded a silver from The Art Directors Club. 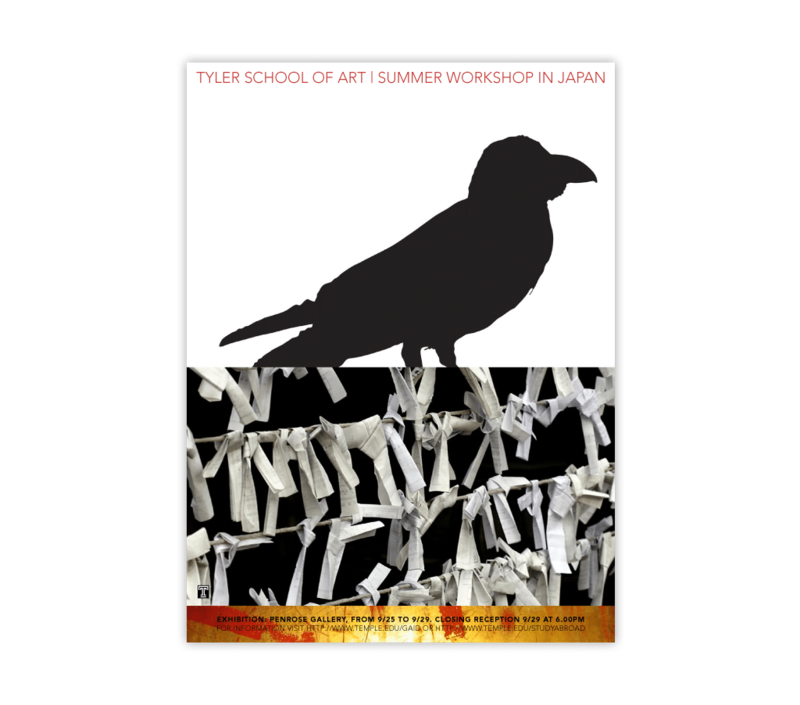 Designed for Tyler School of Art’s annual summer design workshop in Temple University, Tokyo & Kyoto, it helped raise awareness about this exciting program in Japan. 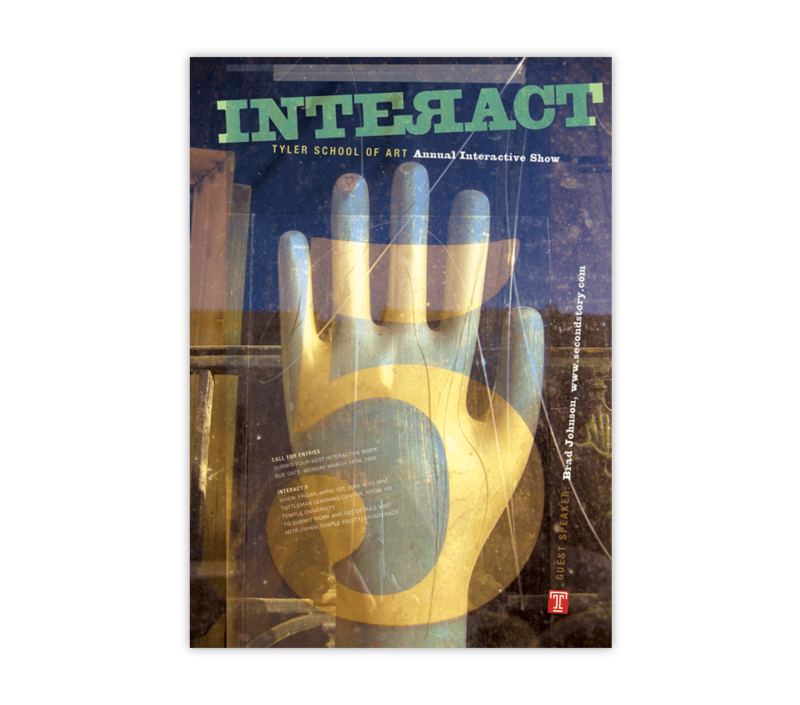 Students from around the country, immersed themselves in the culture of this fascinating country and produced designs for print and interactive mediums in this intensive six week course. 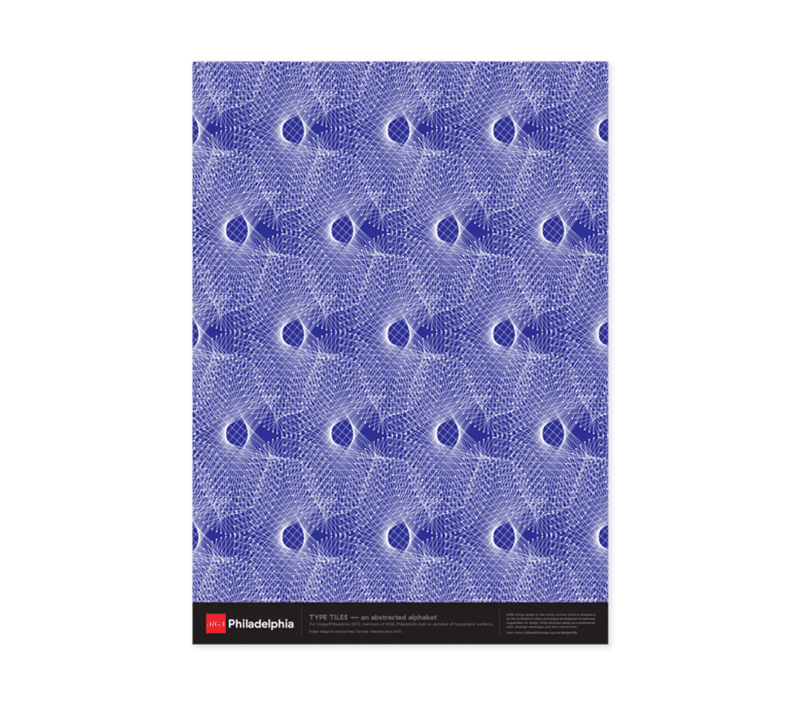 Recognition: Poster 9 was awarded a gold and featured in Graphis Posters. 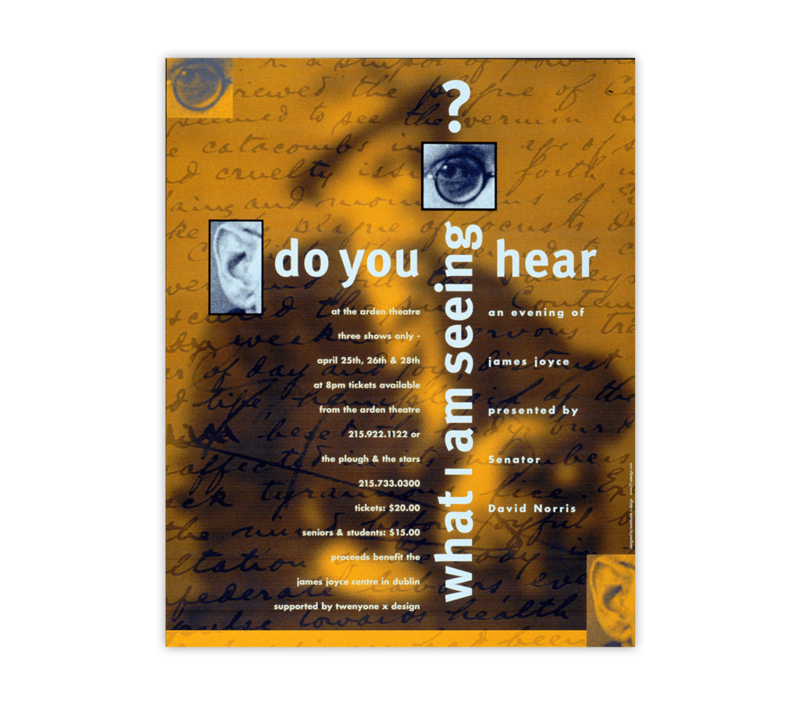 Created for a one man show in Philadelphia's Arden Theater, featuring the work of James Joyce. Recognition: Selected for Print's International Annual Review of Design. Designed for the AIGA Philadelphia Poster 2017. The poster is composed of abstract alphabet in a typographic patterns.